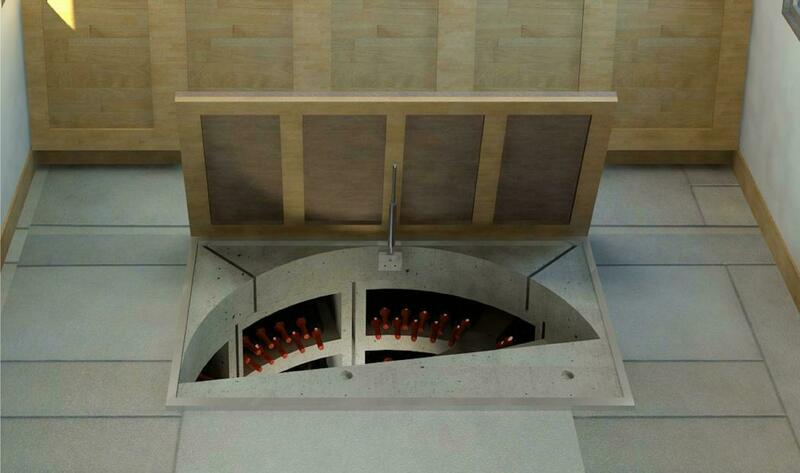 We specialise in Basement Cellars with the option of having a visible or trap door. Due to our experience in the installation and finishing touches, we can install a basement cellar from start to finish while closely monitoring the process, paying special attention to detail and quality control. 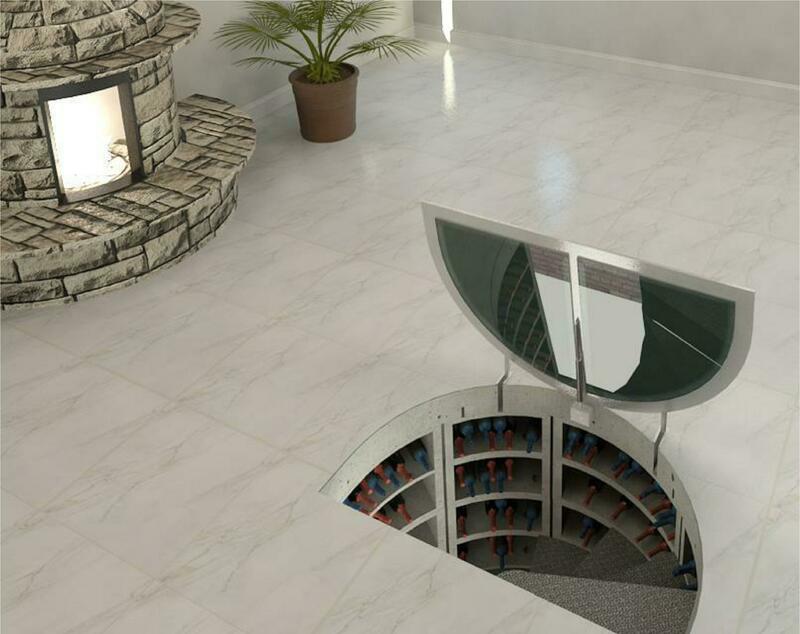 This favorite trend of a Basement Cellars hidden in plain sight is becoming more and more popular and desired worldwide. 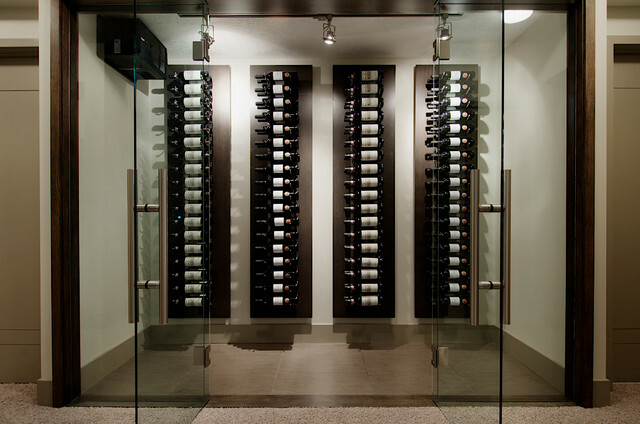 Urban Cellars can help you to create the cellar of your dreams with the perfect lighting and just the right conditions to keep your wine collection at optimum temperature, for the perfect taste in every bottle. The basement cellar can be retro fitted into any home or restaurant and takes 10 days to install. 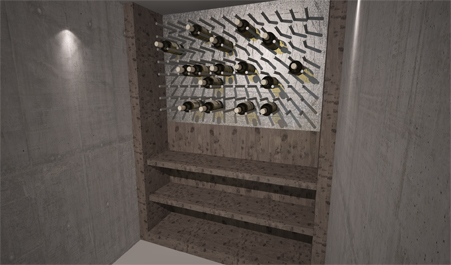 An automated mechanical arm is also installed, so with the flip of a switch the trap door opens, and you can gain access to your wine collection down below. 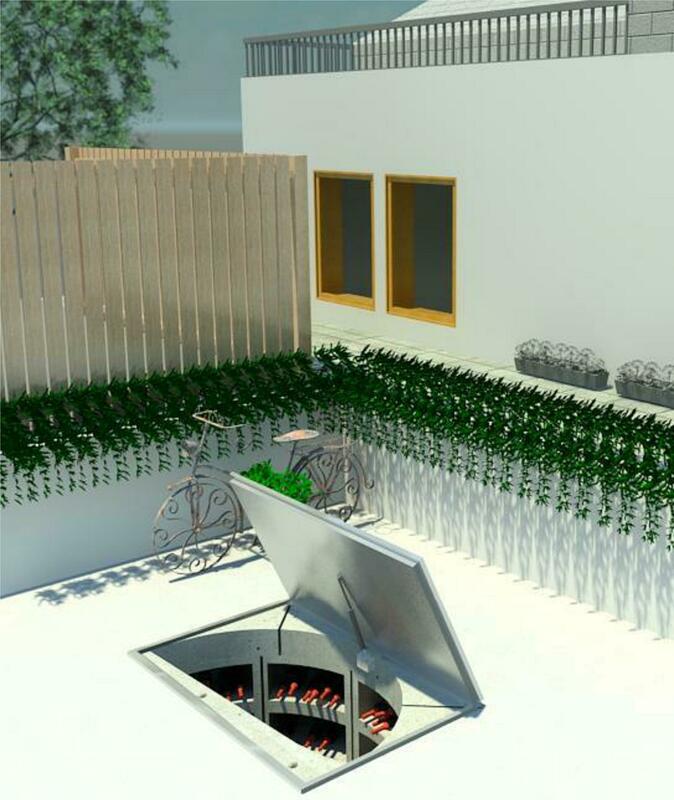 The cellar is naturally vented and therefore the need of an expensive and troublesome cooling unit is not required. The temperature remains constant within the cellar, at 13-17˚C. 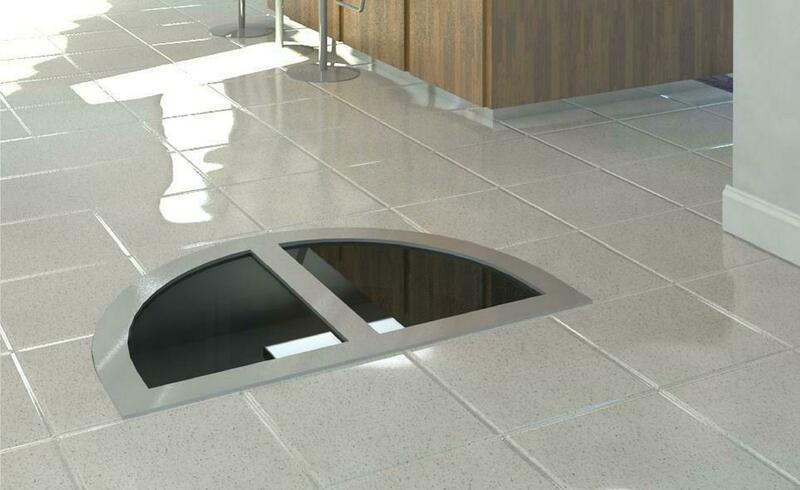 There are a variety of different trap door options ranging from glass, timber and tile finishes, with various shapes, which best fit the design of your home. A Basement Cellar will add great value to your property with its modern design and practical storage capabilities. At Urban Cellars we are committed to the quality products we supply, please complete the form below to request a FREE quotation.